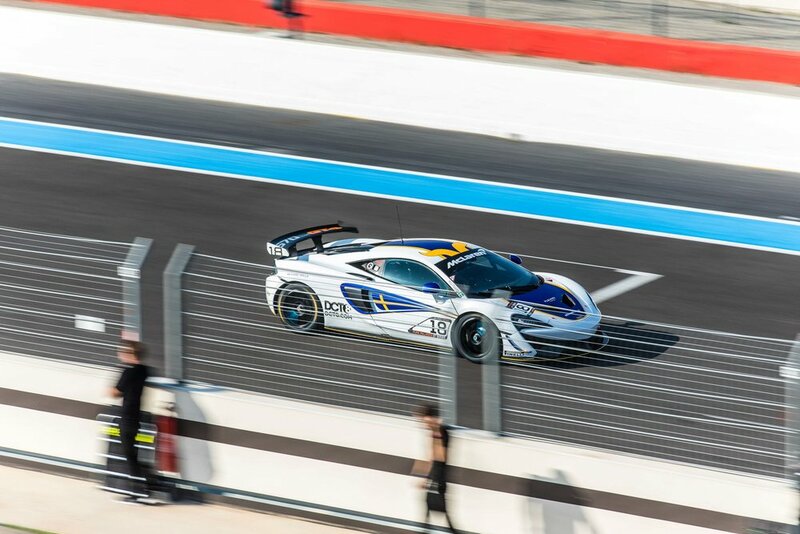 The weekend’s Pure McLaren action at the Circuit Paul Ricard saw two new series race winners crowned in Issam Charrouf and Nico Pronk. 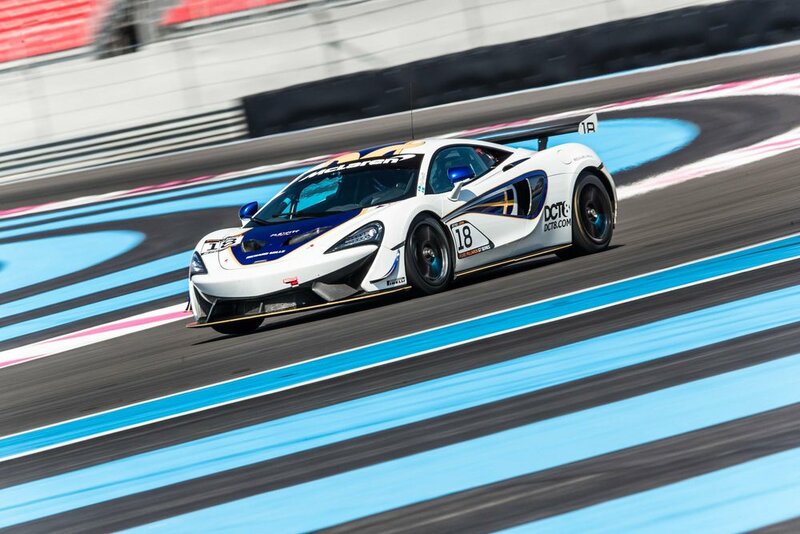 With two strong race finishes, Mia Flewitt also edged closer to taking the inaugural Pure McLaren GT Series title. The first race of the weekend on the Saturday saw Bruce McLaren Cup class championship leader Issam Charrouf in the #05 570S GT4 take his first overall race win of 2018. It was not a straightforward victory though, as he was forced to fight hard throughout the 13-lap race. Overall points leader Mia Flewitt started from pole and held onto the lead for the first two laps. Following a tangle with guest entrant Felix Von Der Laden, however, she fell back to third. This promoted Charrouf to second spot behind Von Der Laden. The pair battled for the remaining laps, Charrouf taking the lead 13 minutes into the race before losing it again on the penultimate lap. 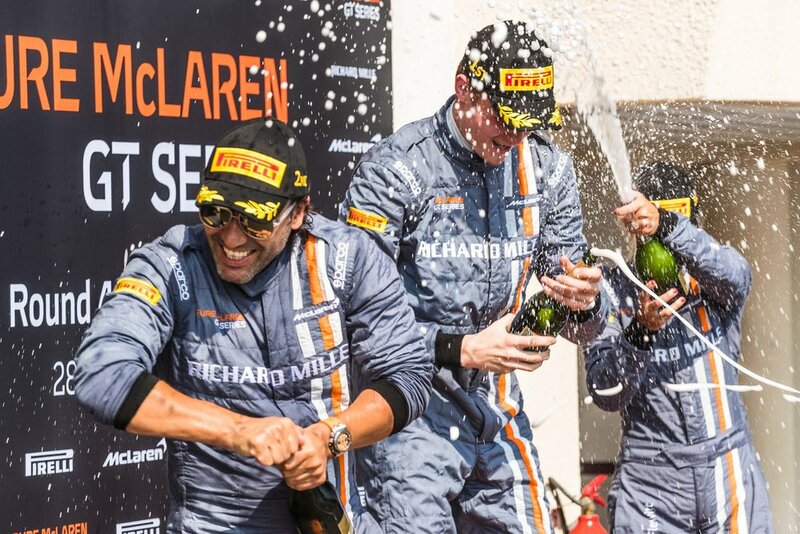 As Von Der Laden is a guest entry, however, the win and full set of points were handed to Charrouf, who in turn, also claimed the Bruce McLaren Cup class win and received the ‘Speedy Kiwi’ award for setting the fastest lap. Behind, Flewitt was able to battle back to take second place, despite further contact later in the race with Bernhard Laber (who retired his #40 570S GT4 as a result of the impact), the points leader though was unable to challenge Charrouf towards the end. Taking the third-points scoring place was Mohamed Al Khalifa, who came home 10 seconds back from the winner. Nico Pronk in the #10 570S GT4, and previous race-winner Stewart Proctor in the #66 rounded out the top five. Finishing behind Proctor were the second and third place finishers in the Cup class, David Kyte (#12) and Jolyon Nash (#50) respectively. 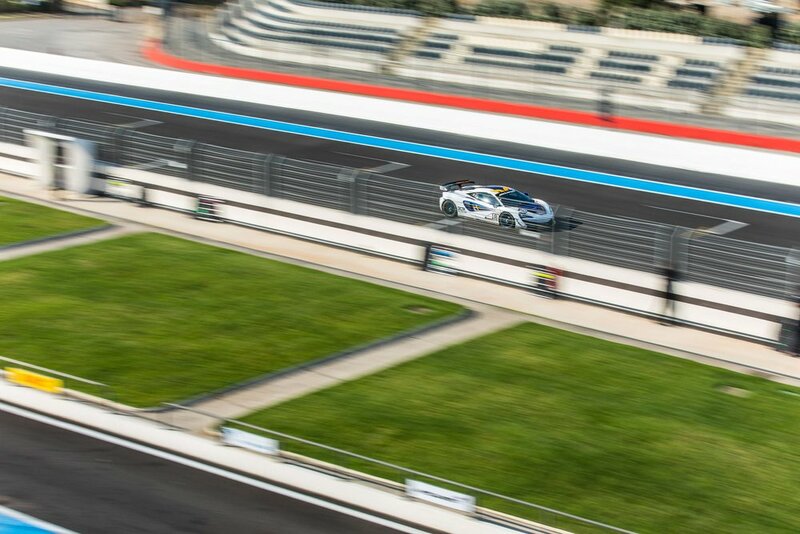 Then on Sunday, race two saw another new winner, as Pronk – who was racing in the series for the first time at Paul Ricard – managed to win the race from pole despite Proctor’s best efforts to get past towards the end of the race. Both Flewitt and guest entrant Von Der Laden were big movers in the race. Von Der Laden started last but managed to climb to fourth on the opening lap before going on to lead the field to the end. As in race one though, Von Der Laden was ineligible to be classed as the winner and score points, meaning Pronk was awarded the win and 20 points. Flewitt, meanwhile, managed to climb from seventh to third during the race. She also scored a further point by taking the ‘Speedy Kiwi’ award for the fastest race lap. 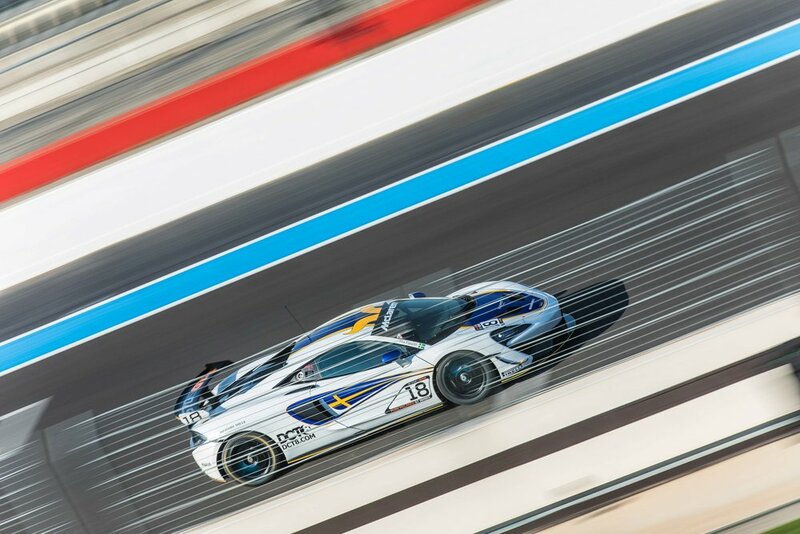 Race one winner Charrouf managed to get past Al Khalifa at the end too, finished fourth overall and first in the Bruce McLaren Cup class once again. As on Saturday, Charrouf’s nearest rivals in the class – Kyte and Petersen (#99) – were unable to pose a threat and finished 12 and 36 seconds adrift respectively in second and third. Following the two races, Flewitt now leads the overall standings over Proctor by 30 points and Charrouf holds a 23-point advantage over Sultan Ojjeh who was absent from this round. 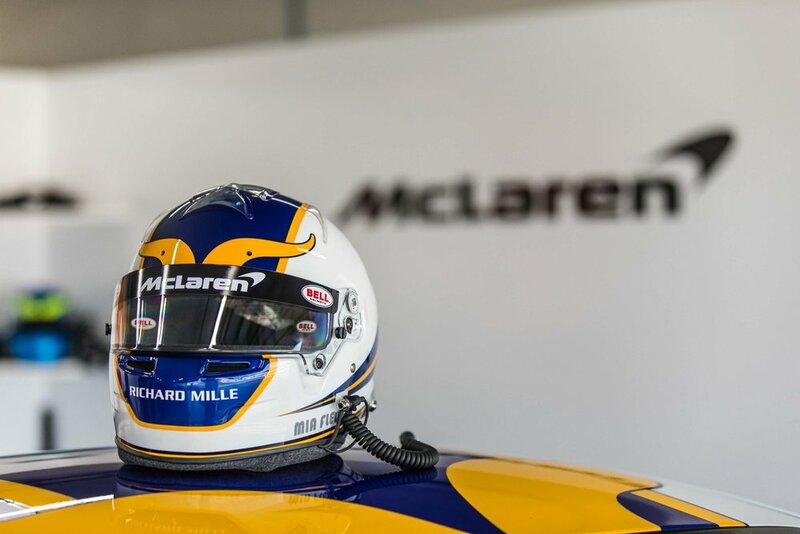 Next on the Pure McLaren GT Series schedule is the penultimate round of the season at another Formula 1 circuit, Hockenheim in Germany, on July 31 to August 2.